In addition to American Airlines, in the last six months Southwest, Alaska and Allegiant Airlines have all announced new non-stop service to Omaha. Allegiant Airlines launched new year-round nonstop service to Orlando, Florida’s Sanford International Airport on November 5, 2015. Southwest Airlines began nonstop service to Dallas Love Field on August 9, 2015 and plans to begin new daily service to Reagan National Airport in Washington D.C. in March of this year. Alaska Airlines will begin daily non-stop service to Portland, Oregon starting February 18, 2016. 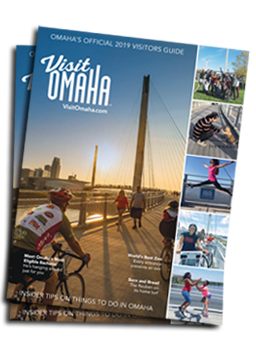 “Not only will these additional flights better connect Omaha to the West, East and Southern coasts, but it also better connects Omaha to the world,” added Backsen. Omaha hosts a number of large international and domestic events including Warren Buffett’s Annual Berkshire Hathaway Shareholders Meeting, which attracts an international audience; the U.S. Olympic Swim Trials will be held in June of this year; and the FEI World Cup, an international horse jumping and dressage competition, will be in Omaha in 2017.